The days of beachside sessions with live music on the promenade, BBQ’s and paddleboarding into the sunset are once again changing hands from Northern to Southern Hemisphere. 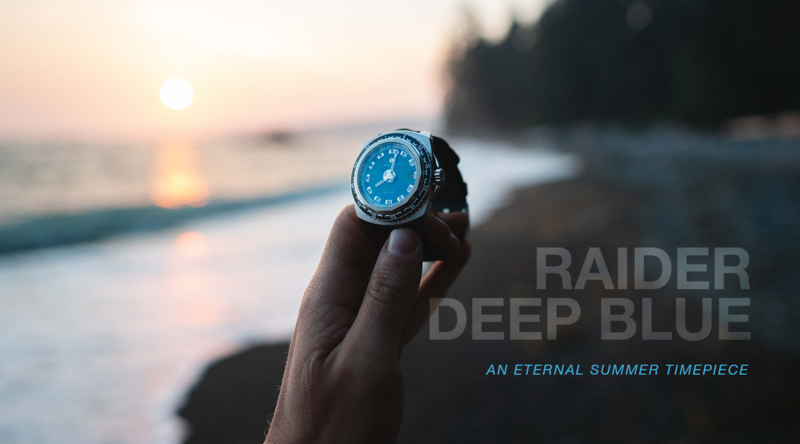 Nevertheless, our Swiss team of Favre-Leuba engineers is hoping to extend their eternal summer with the release of our new 41mm Raider Deep Blue. Designed with a relaxed style and combined with smart technology. 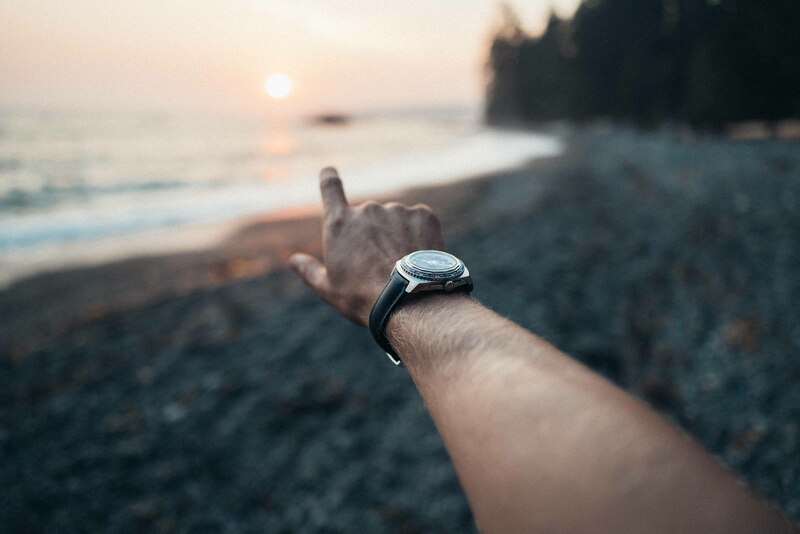 This timepiece will keep you exploring the beachside tavernas, fringing reefs, and urban cityscapes until those warm days have finally passed again. Over the last few months, our team of ambassadors has been wearing the Deep Blue all around the world. On land and in the oceans. 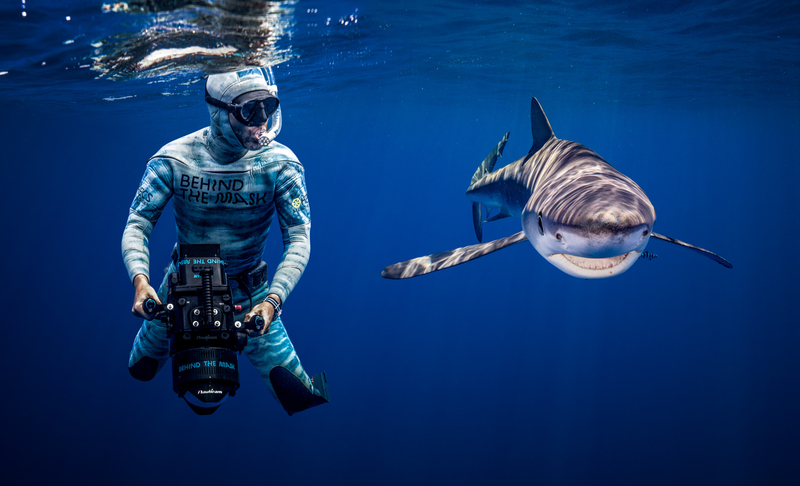 The Behind the Mask team explored the crystal clear oceans of the Azores. They hoped to capture footage of the blue shark living in this part of the ocean. The team commented, “the #RaiderDeepBlue watch with its blue clock face and wristband perfectly match the camouflage pattern of our wetsuit.” A very useful and unexpected benefit whilst filming under the ocean near the Condor Bank. 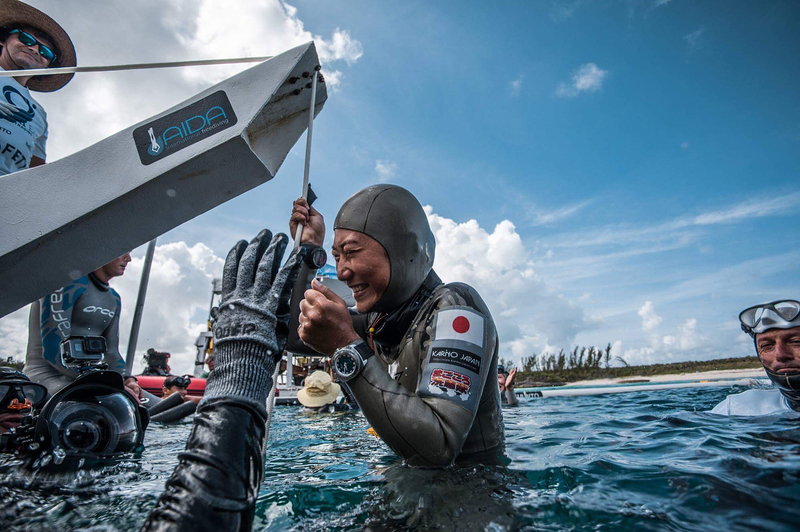 Meanwhile, in Asia, our freediving #ConqueringFrontiers athlete Sayuri Kinoshita (world freediving record holder) was pushing the limits of the Deep Blue. Competing in freediving events from Japan to Ibiza. Testing her abilities in dives which involve holding her breath for over 3 minutes and reaching depths below 70m. Recently she commented “The blueness of my partner Deep Blue is like a charm that harmonizes me with the ocean. It connects me with confidence and courage”. 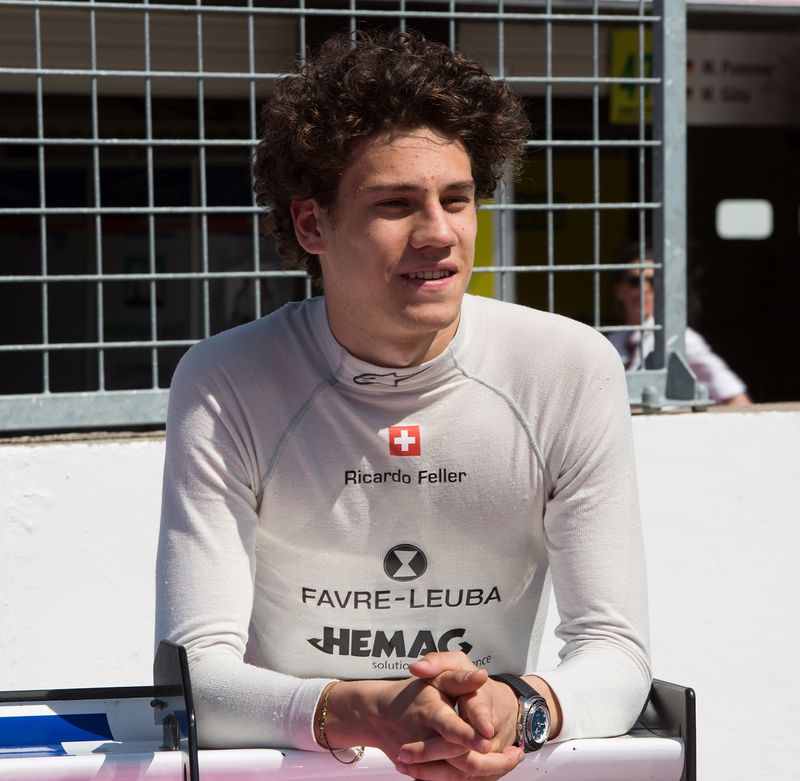 Whereas on land our motorsport ambassador Ricardo Feller has been competing in the ADAC GT Masters. His last event being the race weekend at Hockenheimring at the end of September. “The design is classy but still sporty. I wear my Deep Blue at work, school, in the garage, on racetracks, dinner, galas and so on… the design and the colours match everything. Its unique design is rare. It truly has something special.” Ricardo Feller. Sophisticated, stylish and inspired by our timepieces of the past. The latest Deep Blue features heritage characteristics shown by its case, hands and hour markers. But noticeably with a modern feel. 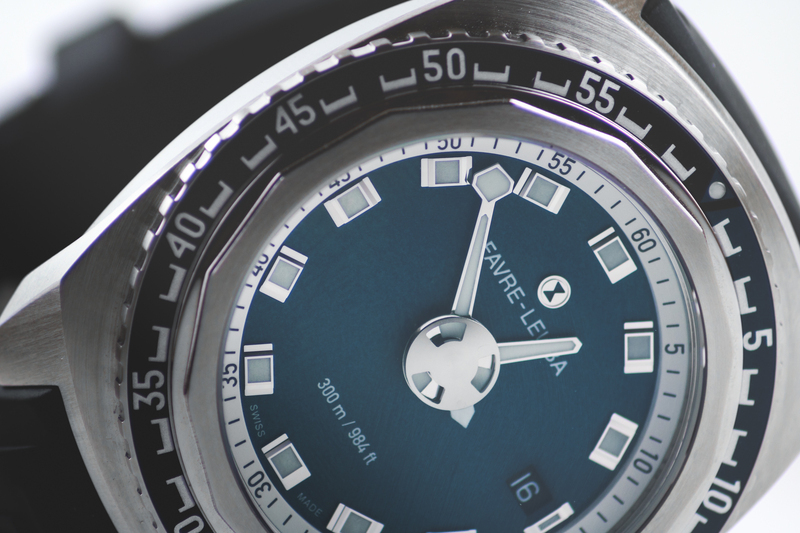 The blue face is combined with faceted hour markers. These, along with the watch hands are filled with luminescent material to ensure the time is perfectly legible in all lighting conditions. Whilst the 41mm tonneau (barrel in English) shape case features a bi-color unidirectional bezel to keep track of dive times. If diving below the ocean is what you thrive upon, the Deep Blue’s 20-minute dive sector scale marking in orange/black or blue/black can keep you on track with your time under the sea. The movement driving the precision of the Deep Blue is a Swiss Automatic Movement, ETA 2824-2. The timepiece is also enhanced by its lug drop design, allowing the watch to fit with ultimate comfort, wearing a wetsuit or in casual dress. Personalising a timepiece to suit your characteristics is an important aspect we are well aware of. Therefore we have options to allow the wearer to choose between a stainless-steel or PVD coated stainless steel case with an oceanic blue or midnight black dial. Also depending on your style of attire or considered use for the watch, we have a choice of three straps suited for a collection of situations. A matte sandblasted stainless-steel bracelet, a comfortable rubber strap, or a soft calfskin strap. An additional option – a NATO strap – will soon be available. Now available via stockists throughout Japan, Hong Kong, Taiwan, India, UAE, and Switzerland. Enquire via info@favreleuba.com for other regions.